Something exciting is coming in toy display collection especially since many like me have some toy collection and here is a unique multipurpose base for many scale toys. 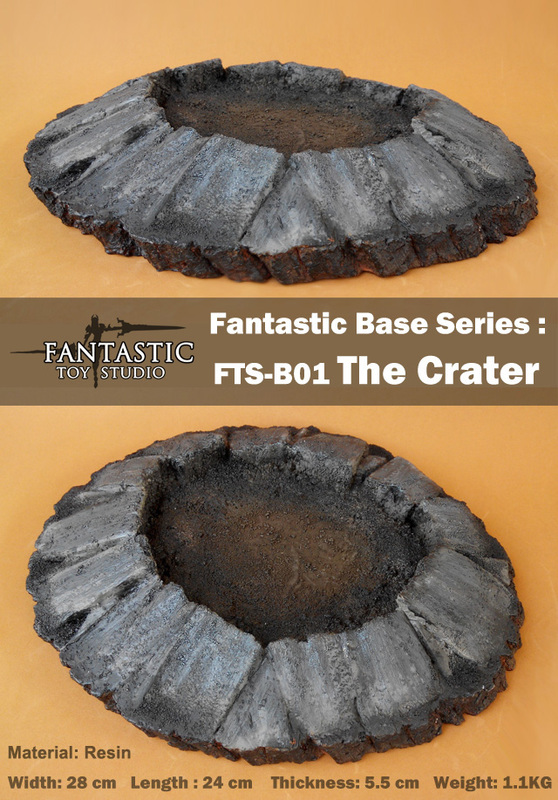 From Fantastic Toy Studio, it is the organic base of their base collection, The Crater. 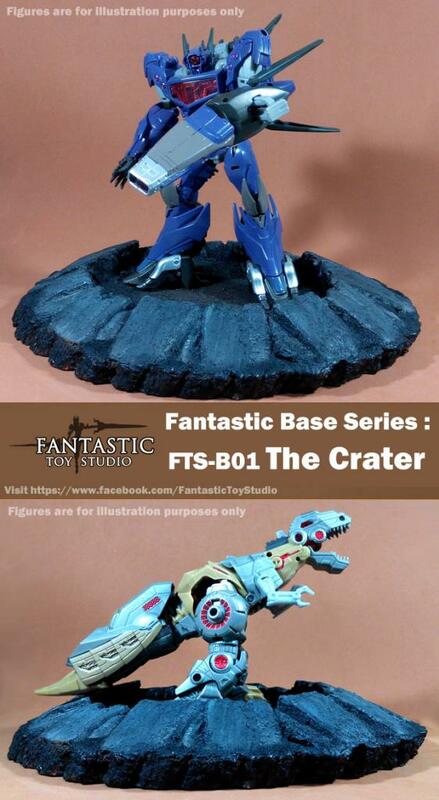 With the size of 28cm Width x 24cm Length and 5.5cm height, it can also cater max for 1/6 scale figures. 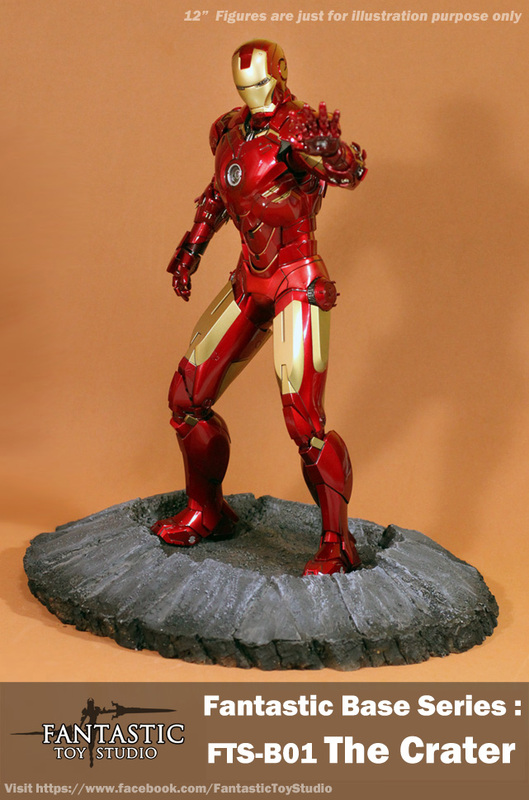 Here is 1/6 Ironman on it. It get better when you put voyager size Hasbro Transformers! 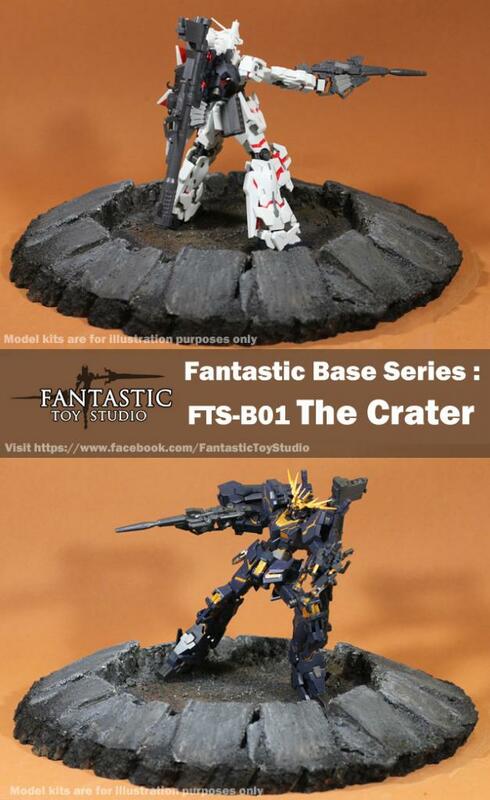 Of course it look awesome when you put Gundam in it too!! 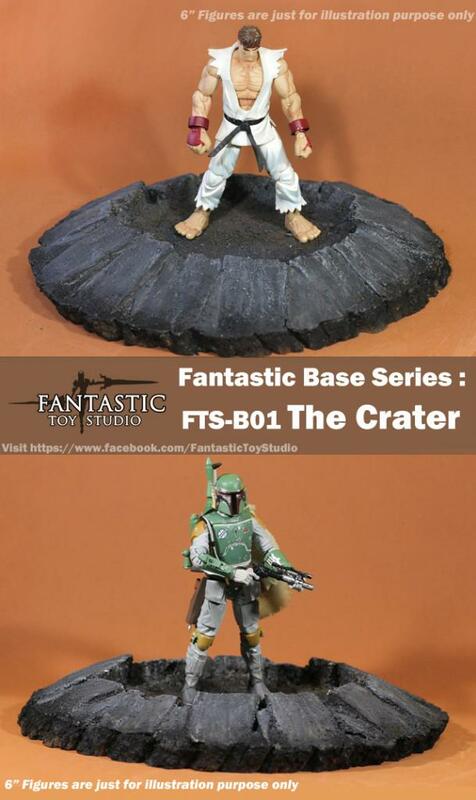 This base goes well with other 6" figures from various toy line. If the figures get smaller, it has much more space to play or display. Seems good for a mass market.